And for the thristy among us, there's a new way to summon the beer cart on the course. 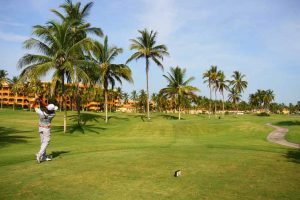 At Quivira Los Cabos Golf Club, at the tip of the Baja Peninsula, players can take advantage of summer rates through Sept. 30. 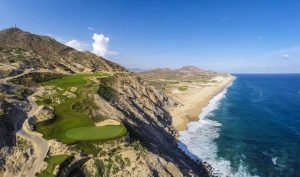 Voted this year to Golf Digest’s roster of the “World’s 100 Greatest Golf Courses,” Quivira, with more ocean frontage than any other course in Los Cabos, is priced at $275 for the mid-morning period from 11 a.m. to 1:24 p.m. The twilight rate, available from 1:36 to 3 p.m., is $233. Rates include food and refreshments at the club’s four comfort stations. 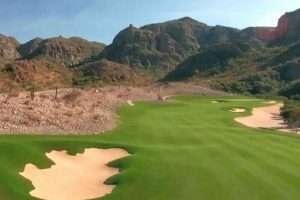 Quivira, a Jack Nicklaus Signature course, is perhaps the most spectacular golf course in Mexico, thanks to several holes that cling to the granite cliffs several hundred feet above the confluence of the Sea of Cortez and the Pacific Ocean. 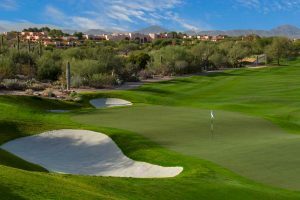 “Stay & Play Packages” are offered at the five properties at the Pueblo Bonito Resort, including the adults-only, all-inclusive Pueblo Bonito Pacifica Golf & Spa Resort located five minutes from the course, are available. Play at Quivira is restricted to resort guests and homeowners in the Quivira development. 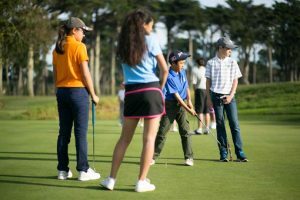 Here's our 2017 piece on Quivira. 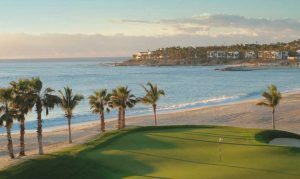 Down the road at the Palmilla Golf Club, the landmark 27-hole facility in one of the choicest locations in Los Cabos, offers a triple-tiered system of discounted rates for resort guests through Sept. 30. 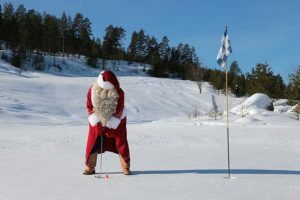 Green fees for an 18-hole round start at $145 from 7 a.m. to 11:20 a.m. and drop to $105 from 11:40 a.m. to 2:10 p.m. There’s also a special “Siesta Twilight” rate of $75 starting at 3 p.m. Opened in 1992, Palmilla was the first Jack Nicklaus Signature golf course built in Latin America. Also, check out the the Unlimited Golf Package at the One&Only Palmilla, Resort, five minutes from the golf course. 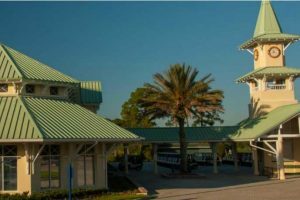 What's new in the Village of Pinehurst? A new craft brewery and restaurant will open in September. 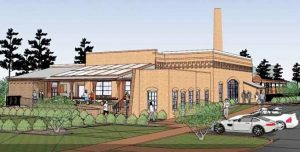 The Pinehurst Brewery will occupy what was the original Village steam plant, built in 1895. It retains the original brick facade and much of the character of the building. The restaurant will serve homemade smoked barbecue and locally brewed craft beer. 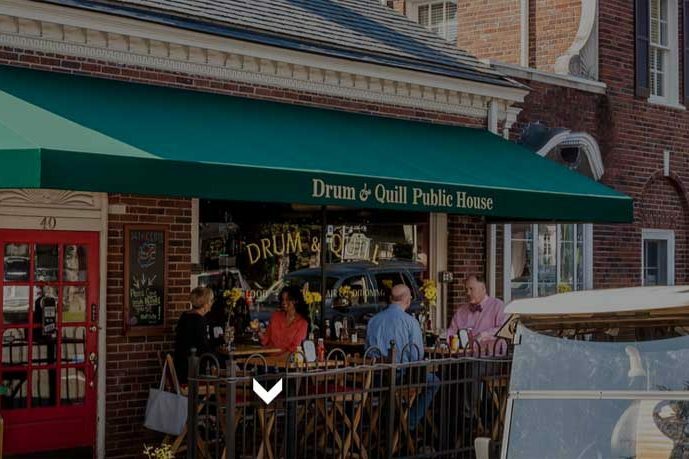 The Pinehurst Brewery joins another worthy established tavern and restaurant, the Drum and Quill Public House, in the center of the Village of Pinehurst. 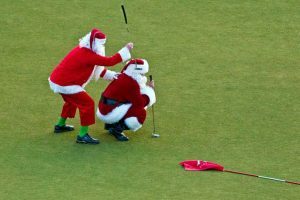 It is run by Kevin Drum, son of the legendary Bob Drum of the Pittsburgh Press, who chronicled the rise of a golf phenom from Latrobe, Pa., named Arnold Palmer. Kevin Drum took a bankrupt shop and renovated it into Pinehurst’s version of “Cheers,” an eclectic place where visitors hob-nob with locals in a cozy pub setting, surrounded by golf photos and other memorabilia, including Bob Drum’s portable typewriter. The pub's comfort food is quite affordable. 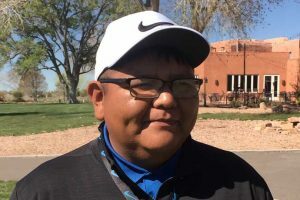 Bob Drum coined the phrase “golf's grand slam.” If Kevin’s there when you visit, ask him to tell you about how as a kid his dad would bring home Arnold’s hand-me-down golf clubs for his son to use. If you go to Pinehurst and don’t visit the Drum and Quill Public House, you’ve shortchanged your Pinehurst experience. Dugan's stays open until 2 a.m.
Also worth noting: After the Drum and Quill closes at 10 p.m., try Dugan’s Pub on Market Square, a mere block away via the breezeway across the street from the Drum and Quill Public House. 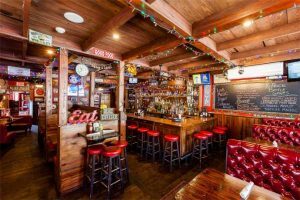 Dugan's stays open until 2 a.m. The 80BREAKR golf scorecard app now has a “Beer Me” button on its app that lets golfers summon the beverage cart at whatever course they’re on. With this new button, the need for golfers to wait for the beer cart to drive by on its rounds is eliminated. 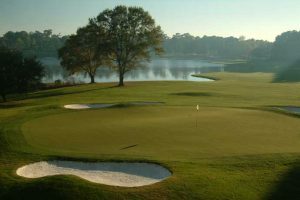 Courses have been using the app as a way to improve service to their guests, letting golfers know they can request the beverage cart to celebrate a birdie or Nassau clutch putt, or to console golfers who need a cold one after a blow-up hole. 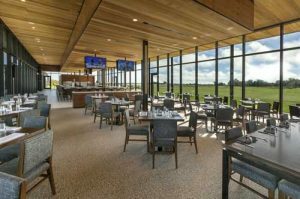 The clubhouse at the Streamsong Resort Black Course near Lakewood, Fla., has been named the best new Clubhouse of the Year by Golf Inc. 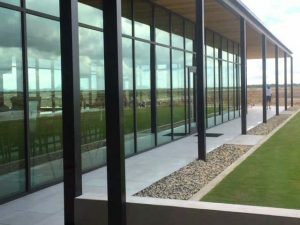 It's the second award that Streamsong has received from Golf Inc. this year. 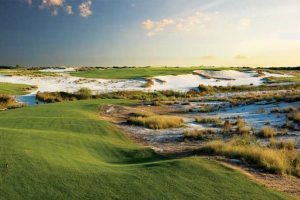 Earlier this year, Streamsong Black was awarded the Best New Golf Development of the Year in the publication’s March/April issue. The course opened at the same time as the Streamsong Black Clubhouse in September 2017. Judges evaluated the entries on four criteria: efficiency, aesthetics, vision, and sustainability. The panelists looked at how well a floor plan maximizes available space, how visually appealing and congruent the design is to its surrounding area, the mission of its developer, and how the clubhouse conserves energy and water to ensure an environmentally sustainable building. The glass-and-steel design evokes the “form follows function” aesthetic of Bauhaus founder Mies Van der Rohe. The glass walls bring the outdoors into the dining room and, overall, gives it a clean, open and even Nordic feel far removed from the nostalgic clubby, dark-wood designs so common today.